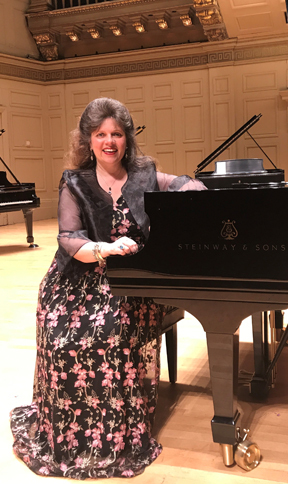 Christina Dietrich will lead two piano master classes in March and April 2019. The piano master classes are led by NECC Music Professor Christina Dietrich. The classes, which are open to pianists of all levels, are free and open to the public. They are designed to provide students with a chance to perform and learn in a cooperative group setting. Cover a range of solo piano works as well as instrumental and vocal works with piano accompaniment. Read more about the free piano master classes in the NECC Newsroom. For more information about these master classes or about the music program at Northern Essex, contact Dr. David Garcia, music department chair, at 978-556-3321 or Dietrich, at cdietrich@necc.mass.edu.